New effort to help minority, women businesses grow, address poverty. A new website has emerged as a way to help Memphians find locally owned and certified minority and women-owned businesses. 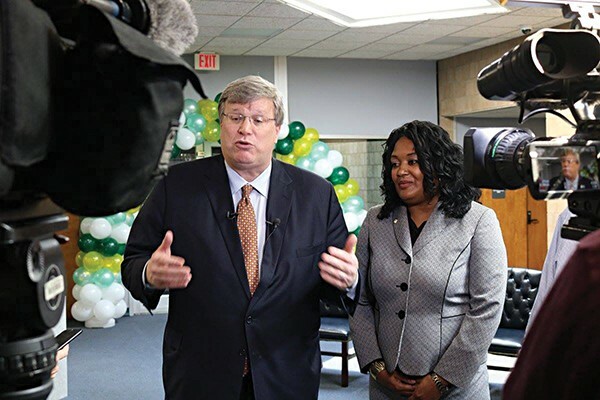 During his State of the City address last week, Memphis Mayor Jim Strickland announced the launch of the site Buy901.net as a means to "sustain and improve" minority contracting. 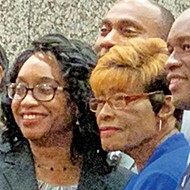 Joann Massey, director of the city's Office of Business Diversity and Compliance, said that the site is a way to promote the city's directory of certified minority and women-owned business enterprises (MWBE), which has always been free and open to the public, but never made widely known. "We've mostly kept it to ourselves and never really promoted it," Massey said. "Buy901.net is meant to do just that: encourage everyday citizens, whether they need a plumber or locksmith, to source from the list. We want Memphians doing business with neighbors." Massey said although the city has made "great progress" in contracting with MWBEs since Strickland took office (12.7 percent in 2016 to 24 percent this fiscal year), with an operating budget of less than $1 billion a year, the city has a very small part in the local economy. "There's only so much that we can do with the funds and business opportunities that we have," Massey said. "Our hope is that these businesses will now get greater opportunities." To monitor the success of Buy901, Massey said the city will be analyzing data from the site, such as number of clicks and logins. "Since the mayor gave his address on Monday, we've already seen an uptick of people logging onto the site and businesses wanting to be a part of it," Massey said. Massey added that the city will be working with community stakeholders to assess the overall impact the site has on the local economy. Strickland said last week he anticipates the site being a "long-term way to build equity in our economy and attack poverty." Anything that promotes MWBEs will be good for the economy and spark economic development, according to Elena Delavega, a sociology professor at the University of Memphis who produced the "Memphis Since MLK" poverty report last year. "Small businesses are important, and I'm all for promoting them," Delavega said." They increase the middle class and improve their economic well-being. It also causes a cycle of people participating in the economy, which helps it grow. But it's not enough." Delavega said small businesses are just one element, and that reducing poverty takes a much wider, comprehensive approach. Specifically, she said poverty can't be truly eliminated without doing three things: increasing the minimum wage to $15 an hour, improving public transit, and investing in child care. "I appreciate these types of initiatives and efforts, though, because they are critical and do play a role," Delavega said. Massey agreed, saying the city knows Buy901 "is not a magic pill that will turn the economy." But, she said it will help raise awareness of the MWBEs in the community, so people will know that they're "ready and willing to work."